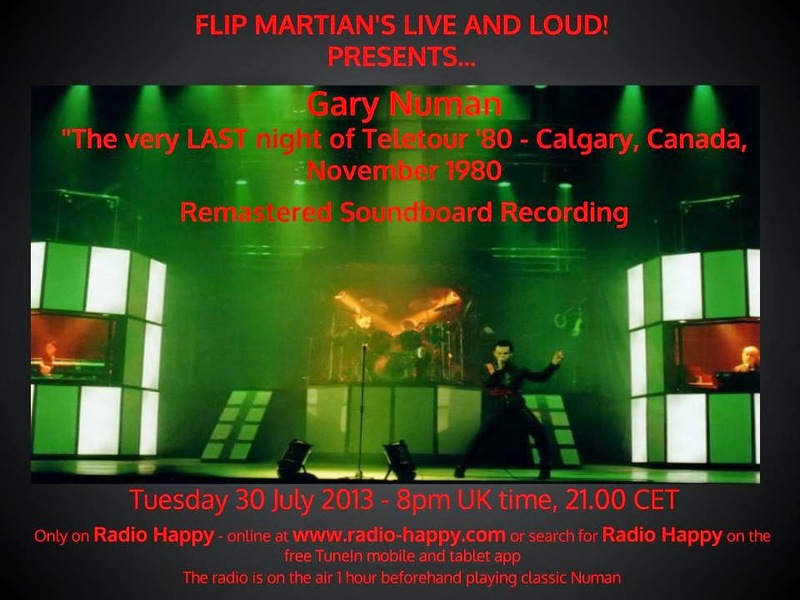 Numan released his second solo album "Telekon" in the Autumn of 1980 and embarked on his second major tour in 12 months - and his second in the USA and Canada in 7 months. This recording features the full set from the very last night of the Teletour, after he'd already made up his mind that he would retire from touring. The show gets better through the set I think, and the last song in the set, We Are Glass, is especially exciting with lots of analogue synths squawking away. This is a soundboard recording and had deteriorated with age a bit. EQ'ing and remastering has brought out the best of it I think and its very listenable - certainly proved popular with Numan fans. The show is available for download HERE as 1 MP3 file. Or, if you would like to have separate tagged MP3s, or even lossless files in FLAC format, head on over to the Donations tab to see how you can obtain these for a very small donation towards the site costs. Looks good and with your promise of "lots of analogue synths squawking away" it should sound good too. Many thanks for another sterling effort in giving us these shows. Cheers! There's one track missing from the Setlist - "I Die: You Die" comes in between "The Joy Circuit" and "I Dream Of Wires"
Well spotted! Thanks for that, I'll fix it now. Introduction - What's Live and Loud! All About?